So why haven’t I been posting? I am preparing for honey extraction this coming weekend. Tomorrow after work, escape boards will be placed on 5 hives. Then Thursday the supers will be pulled from those hives and the escape boards will be placed on 5 other hives. Either Friday afternoon or Saturday morning the supers will be pulled from the remaining hives. Extraction will begin on Saturday and I will continue until they are all done. I will be taking pictures as well as video of much of the process. The postings may be a little scant this week, but there will be a load of stuff coming soon. Please bear with me. I know this is supposed to be a blog about bees and beekeeping and I will be getting back to that soon. After my vacation I am still trying to get caught up around here. Last weekend I butchered all of this Spring’s roosters except one. 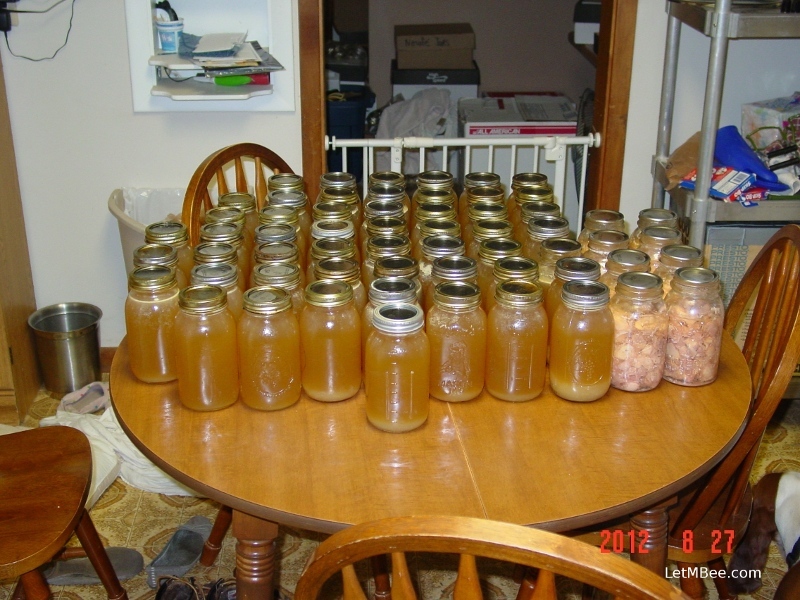 The meat was canned and we prepared 52 quarts of chicken broth. It was yet another time I was glad that I bought the lard kettle. 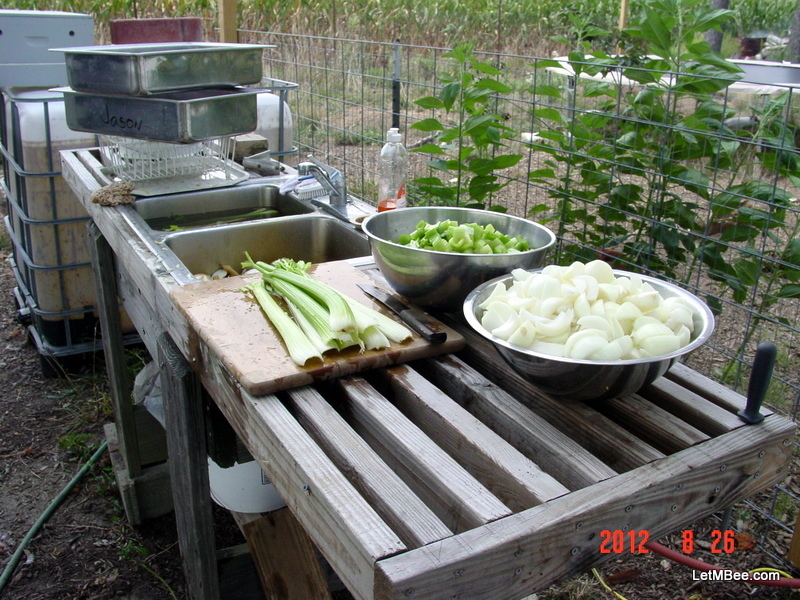 Using the outdoor sink to prepare the ingredients for chicken broth. 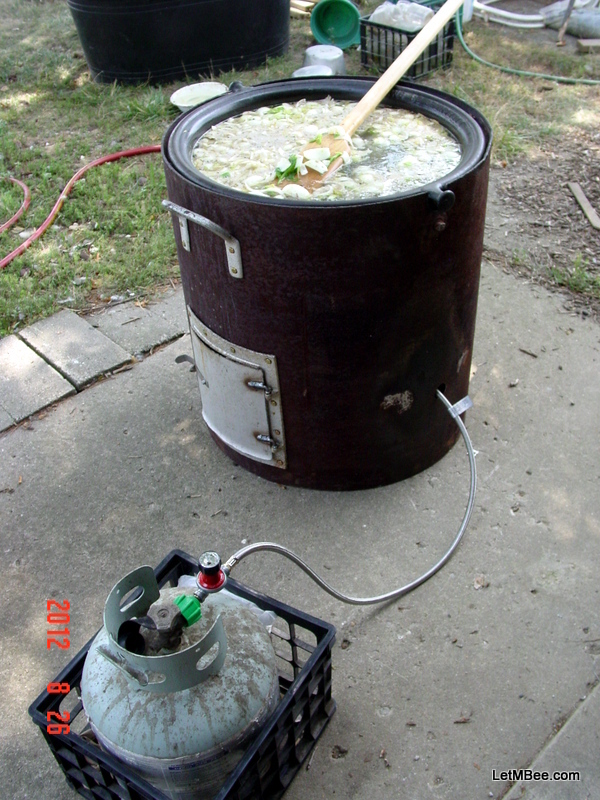 This is a 23 gallon lard kettle that I bought at a flea market last summer. The stand was made by cutting an old fuel tank in half using a plasma cutter. There is an 11 inch propane burner mounted under the kettle that provides the heat. Closeup of the kettle with all of the ingredients added. The paddle is made out of a 48 inch piece of hard maple. 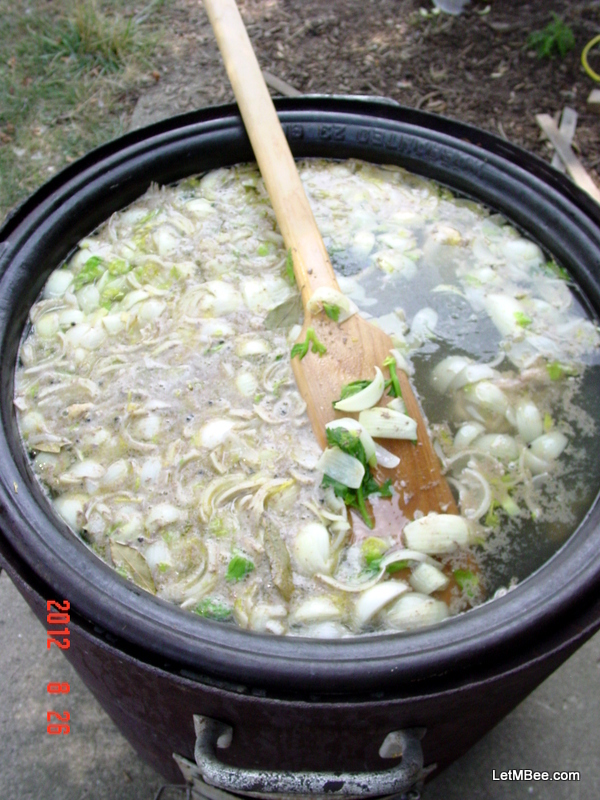 Canned broth with canned meat on the right. This entry was posted in What's going on.. and tagged Indiana Beekeeping, Jason Bruns. Bookmark the permalink.